How do Tides work ? There are two high tides and two low tides 2 a day – one tide every 6 hours. The tide is either coming in or going out. The amplitude of these tides is expressed by a coefficient 3 (20 to 120). The higher this is, the further the sea will go out at low tide. During spring tides, the sun aligns itself with the moon and the tidal coefficient is the highest of the year. These tides occur approximately every 6 months, in spring time and autumn. 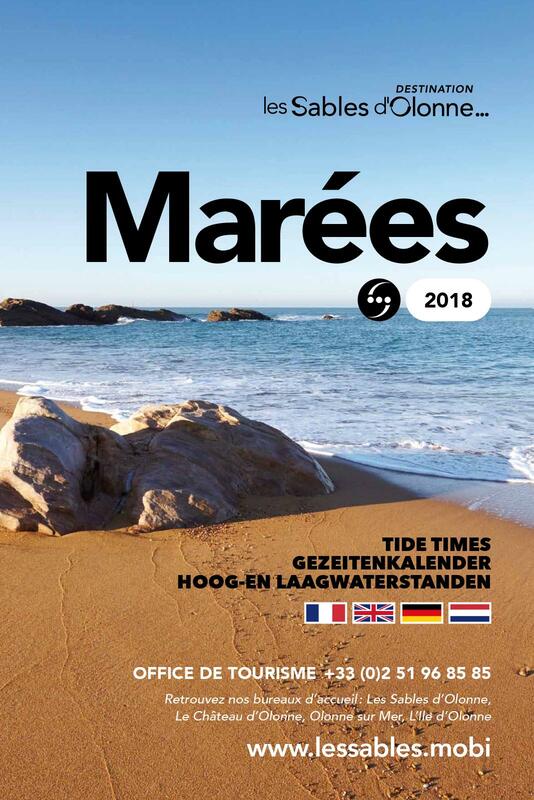 Autorisation © SHOM n° 2018-727 Reproduction des prédictions de marées pour Les Sables d’Olonne - non vérifiée par le SHOM et réalisée sous la seule responsabilité de l’éditeur.